This fantastic half day excursion (morning or afternoon) gives you an opportunity to discover Paris's famous tourist sights and monuments. It includes lunch at the restaurant on the 1st floor of the Eiffel Tower or in front of the Eiffel Tower (depending on the tour selected), a city tour by panoramic coach, and an hour-long cruise along the Seine. Experience the beauty and heritage of the French capital in three different ways. Come to our agency PARISCityVISION, 30 minutes before your departure, located next to the Louvre where you will board in our panoramic bus. Your tour of Paris by air-conditioned panoramic coach will last for one and a half hours: learn about the city's history and its well-known monuments thanks to our audio guide commentary (individual headsets). 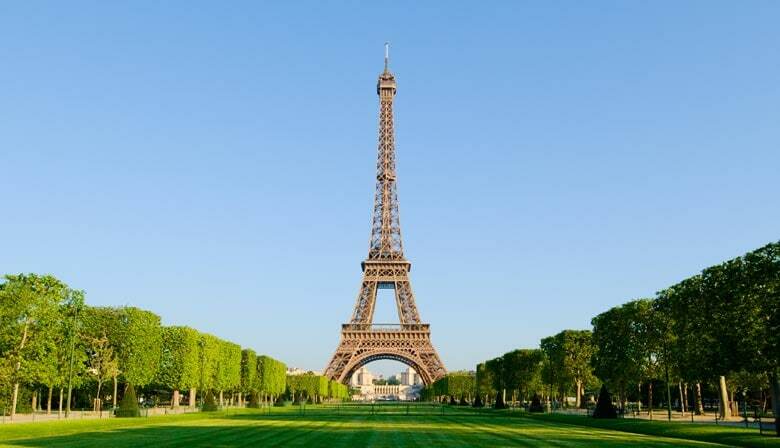 Your tour will visit some unique sights, such as Place de l’Opéra Square, Place de la Concorde Square, the Champs-Élysées, the Arc de Triomphe, Place du Trocadéro Square, the Eiffel Tower, the Invalides, the Pont-Neuf Bridge, the Bastille Opera House and its square, Notre Dame de Paris, the Luxembourg Gardens, and Saint Germain des Prés. During the city tour in a panoramic bus, enthralling recorded commentaries will reveal you the habits of Paris people and how they perceive their city. You will discover how the architecture of Paris evolved throughout the years. You will pass by its main monuments and go through its greatest neighborhoods so that you will find your bearings in Paris: the Champs-Elysées overlooked by the Arc de Triomphe, the Ile de la Cité with the Notre-Dame Cathedral at its heart, the Louvre Museum and its pyramid, without forgetting the Eiffel Tower. Children have their own commentaries too. They will listen to the story of Lulu and Maurice, two dogs that will show them Paris. All along the tour, Lulu and Maurice tell them many anecdotes about dogs of famous figures, such as Napoleon and Marie Antoinette. Children will be delighted to visit Paris in a fun way. Enjoy a memorable lunch at the Eiffel Tower. The "58 Tour Eiffel" restaurant is located on the 1st floor of the Eiffel Tower, as uninterrupted views of Paris stretch out as far as the eye can see. This chic and contemporary restaurant has the feel of a Parisian brasserie. Taste fresh seasonal produce with our three-course menu. Lunch will be served as a picnic for even more friendliness. You will enjoy this packed lunch consisting of three dishes menu allowing you to eat at your own pace while contemplating the panoramic view of Paris. At the foot of the Eiffel Tower, step aboard for a fantastic one-hour audio guided cruise on the Seine River with music. Admire the stunning architecture of the heart of the capital's most prestigious monuments that line the banks of the Seine: the Louvre Museum, Notre Dame Cathedral, the Orsay Museum, the Conciergerie, etc. Enjoy the views from the fully-glassed boat with open-air terrace. Be captivated by this river trip under Paris's bridges, past Parisians going about their business as they walk or cycle by. The cruise ticket is given inside the coach upon the departure of the tour. You will receive your confirmation and your tour voucher in 2 separate emails. Please print your tour voucher and present it to the PARISCityVISION office on the day of your departure. An absolutely wonderful experience. My entire family (12 of us) loved the tour and especially the lunch at the Eiffel Tower! Thanks to your entire staff for a great time. Very well done! Thorough, structured just right, and very enjoyable. Tour of Paris was a bit boring, hop on hop off buses were much better, Eiffel Tower was amazing but lunch was only ok, Seine river cruise was very nice right on dusk. The tour was amazing and very well organised, Paris vision staff were very friendly and helpful. The only fly in the ointment was that we were unable to go to the second floor of the Eiffel tower from the first floor restaurant without paying entry again and as I was in crutches, unable to climb the 669 stept to the second floor. We were pre-warned about this by Paris vision (it's a rule of the Eiffel tower). So anyone who is unable to climb the 669 steps can't simply enter the lift on the first floor and go up to the second, they will have to take the lift down, pay again and only then will they be able to go to the second floor. Easy to book, departure on time, easy access to monuments,... Just felt a little car sick at end of the bus journey. Not full menu on restaurant: need to choose 2 out of 3.